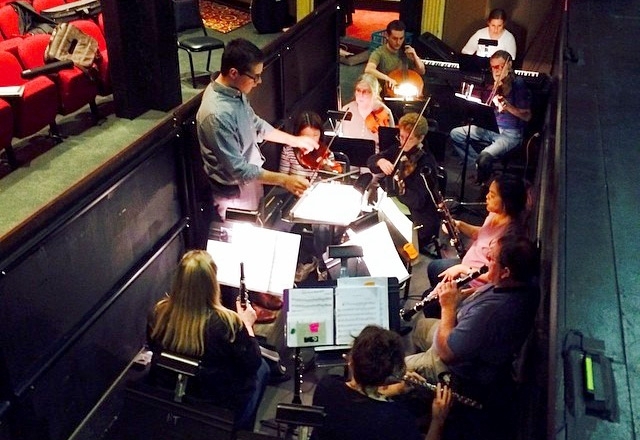 Steven Brindle leads the Capitol Opera Richmond Orchestra. Capitol Opera Richmond is a relatively new all-volunteer organization here in town. This weekend, they’ll finish out their second season by presenting Aaron Copland’s “The Tender Land” at the Henrico Theatre. Performances are Friday and Saturday evening, both at 7:30 p.m. Tickets are just $12, $10 for seniors and students. Founding Board Member and soprano Sarah Kate Walston and Music Director Steven Brindle stopped by the 88.9 WCVE studios this afternoon to talk about this weekend’s opera and explain more about their orgranization. Capitol Opera was founded to act as a resource and information center for “voice professionals” of all types, and to provide a performing venue for local singers, musicians, directors, conductors, choreographers and dancers. Check out Richmond’s newest opera company this weekend!